Every time I cruise Facebook, I find more worthwhile things to promote for New Year’s Eve. Please note, I listed some on yesterday’s post as well. Wish I could travel around with a film crew and broadcast all of these fun celebrations on national TV. The Zombies have a fun suggestion for New Year’s Eve. If you start playing “This Will Be Our Year” from their classic Odessey and Oracle album at 11:58:16, the final “this will be our year” will play exactly at midnight. Unfortunately, it wasn’t their year to be inducted into the Rock and Roll Hall Of Fame but they’re going to be on tour in 2018, so you can tell them in person how well their New Year’s Eve idea worked. EXPO ’76, a cover band comprising veterans of the Chicago rock scene, will be performing selections from their massive and amazingly eclectic repertoire at the Sidebar Room at FitzGerald’s. The Chicago Botanic Garden, at 1000 Lake Cook Road in Glencoe, is offering its annual Wonderland Express through January 7. The indoor exhibit features model trains, miniature Chicago landmarks, and carolers. It’ll be a bit past New Year’s Eve, but there’s some retro-inspired good times coming up at Martyrs’ on Thursday, January 4 when Rosie And The Rivets, Amazing Heeby Jeebies, and Tiny Miles Trio share a triple bill. 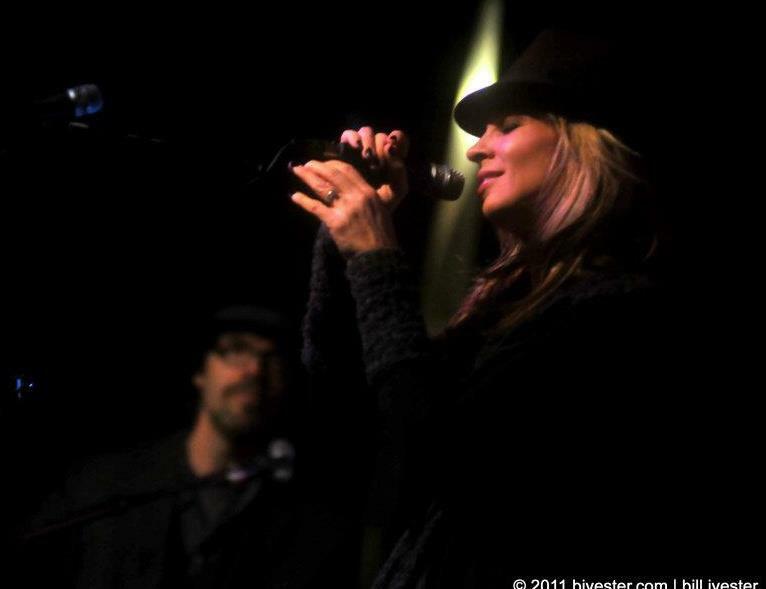 Photo from the Over The Rhine Facebook page. New Year’s Eve is only two days away, so here are some suggestions for people in the Chicago area who haven’t made plans yet. The Cincinnati-based alt rock/roots band Over The Rhine will be playing songs from their critically acclaimed albums at The Old Town School Of Folk Music. Founding members/spouses Linford Detweiler and Karin Bergquist craft inventive arrangements and Bergquist’s amazing vocals bring the provocative lyrics to life. Journalist Jef Elbel has an interesting interview with Detweiler in the Agenda section of today’s Chicago Sun-Times. From RSD to NYE. There’ll be no cover charge when Laurie’s Planet Of Sound holds its annual New Year’s Eve party at Ricochets Tavern on Lincoln Avenue. The record store throws great Record Store Day bashes every April, so why not check out how they’ll ring in 2018. DJ Samorama is in charge of the music and there’s free champagne at midnight. The party starts at 9:00 p.m. Guided By Voices, whose distinctive brand of alt rock/power pop has attracted a devoted following for several years now, will be performing at The Empty Bottle on Western Avenue on the north side. WXRT (93.1 FM) overnight air personality Emma Mac, who usually holds down the oversight shift, will switch hours in order to host the station’s commercial-free 93 Best Party Songs programming. It kicks off at 7:00 p.m. and runs through midnight. If you got money or a gift card for the holiday and are looking for a rock and roll way to spend it, how about On Air, a new two-CD release of live recordings by The Rolling Stones at the BBC between 1963 and 1965. It includes eight tracks that were never released or recorded commercially. Cliff Johnson and The Raine and The Jay Geoppner Band will be performing at FitzGerald’s in Berwyn on Saturday, January 6. Later next month at FitzGerald’s, Classic Tribute Night on January 18 will feature Phil Angotti performing The Rolling Stones’ Out Of Our Heads; Rachel Drew performing Amy Winehouse’s Back To Black; and North Berwyn Rhythm And Soul Organization performing as a mystery guest. Sons Of The Silent Age, the David Bowie tribute act composed of several Chicago music scene veterans, will have acclaimed actor Michael Shannon as their special guest when they perform The Berlin Years on January 6 at Metro. Upcoming new albums include Wrong Creatures by Black Rebel Motorcycle Club on January 12; Marble Skies by Django Django on January 26; and Always Ascending by Franz Ferdinand on February 9. The official trailer for Metric’s 2018 Dreams So Real concert film can now be seen on YouTube. Fans can preorder Dreams So Real on DVD and Blu Ray or as a three-LP set on the band’s PledgeMusic site. Various bundles featuring a t-shirt, signed items, liner notes, etc. are also available. Metro vocalist Emily Haines released her third solo effort, Choir Of The Mind, earlier this year and plans to tour in support of it. The January issue of the Illinois Entertainer is out, with staff members listing their choices for best albums and concerts. Over the twenty-some years I wrote for them, I.E. invited me to participate in this annual ritual a whopping one time. Anyway, it’s nice to see Curt Baran name The Regrettes’ Feel Your Feelings Fool among his top albums and their show at Schubas among his top concerts. Baran and publisher John Vernon both picked Visions Of A Life by Wolf Alice as one of their favorite albums, which increases my interest in buying it. Meet the new Doc, definitely not the same as the old Doc. Actress Jodie Whittaker officially arrived as the 13th incarnation of The Doctor when the Doctor Who annual Christmas Special aired this past Monday. Whittaker is the first woman to portray the iconic sci-fi character who is able to regenerate and take on an entirely appearance and, to a less degree, persona. Imagine the suspense and surprise among the show’s loyal fans if there was no way of knowing what the new Doctor will look like until the episode aired. Of course, that kind of secrecy would be pretty much impossible these days. After surviving a tough round in the fourth installment, my nephew Joe Flamm will be among the remaining contestants on the Bravo Channel’s Top Chef as it moves into 2018. The Bee Gees weren’t exaggerating when they named one of their early records Rare, Precious And Beautiful, although they would later court a different following with funky dance-oriented material. 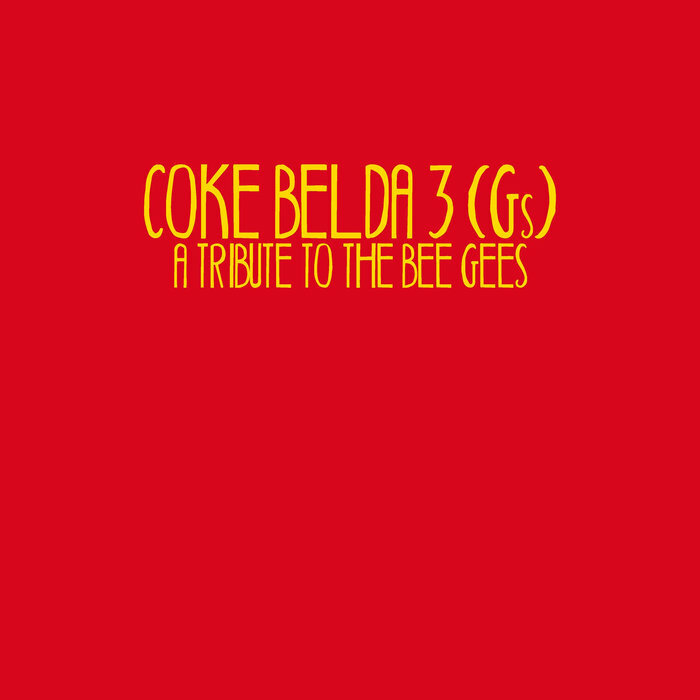 Vocalist/multi-instrumentalist Coke Belda covers that full spectrum on his recent release (3) Gs - A Tribute To The Bee Gees. A native of Spain who now lives in Pittsburgh, Belda gives each track the easy-going allure of the band’s baroque pop era, even when he’s performing something from as late as 1987. This mix of singles and deep album cuts avoids the biggest hits (thankfully, there’s no “Jive Talking”) while concentrating on the exquisite melodies and eccentric lyrics that were Brothers Gibb trademarks. “Claustrophobia,” a song from The Bee Gees’ early days in Australia, doesn’t so much kick off the album as float in like a feather. It’s a light, very British Invasion type song about a guy who feels the woman he’s dating has too many boyfriends. “You Win Again,” the track from 1987, also deals with too much competition in a relationship, and sports a mid-tempo arrangement with masterfully layered vocals. 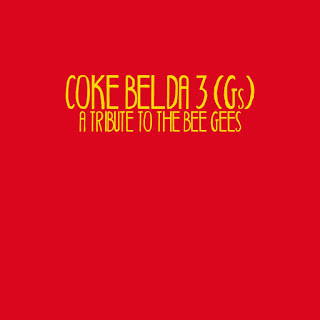 “Edge Of The Universe,” from the mid 70s Main Course album, finds Belda working with a soulful beat, and proves that regardless of the era, The Bee Gees loved crafting silly lyrics. There’s plenty of clever wordplay on vintage gems like “Indian Gin And Whiskey Dry,” “Cucumber Castle,” and “Sir Geoffrey Save The World,” which has its title character, “Talking with lambs who came out of the skies.” Belda also effectively channels the different brothers’ vocal styles, particularly on the singles “First Of May,” “Gotta Get A Message To You” and “Run To Me.” But the highlight of (3) Gs - A Tribute To The Bee Gees is Belda’s breathless, power pop take on the energetic title track from Idea, the band’s million-selling third album. Happy holidays to all who visit this blog. Here are three edited versions of reviews I’ve done in the past of classic rock and roll Christmas albums. Matthew Sweet contributed the reverent “Baby Jesus,” Marti Jones and Don Dixon created a joyous duet on “Every Day Will Be Like A Holiday,” and “The Saddest Time Of The Year” by Spooner reflected on disappointment and loneliness at Christmas. 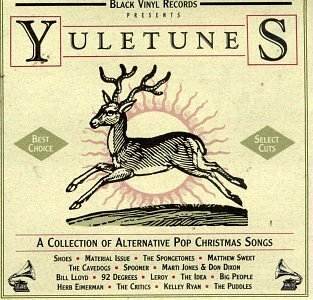 The Spongetones describe a tranquil paradise with their acoustic-based, innocent fantasy “Christmasland,” while “A God Of My Own” by 92 Degrees takes a complex look at religious beliefs. Bill Lloyd’s deliriously happy “Underneath The Christmas Tree” depicts a guy and his girlfriend sharing an evening of holiday decorating, but Kelly Ryan is inconsolable on the ballad, “It’s Not Christmas,” as she spends the holiday alone “for the first time in years.” Singer-guitarist Herb Eimerman’s gorgeous ballad “You Gave Me” celebrates family traditions at Christmas, as well as the way love and values are passed on from one generation to another. The Critics uncork an irresistible energy on their romantic “She Feels Like Christmas Day.” It’s the one song on this memorable collection that could conceivably be played at any time of year. Guitarist/actor/radio show host Little Steven Van Zandt morphed into a crazed Santa for this ambitious 2008 holiday compilation, determined to find just the right gift for everyone on his list. Fortunately, he didn’t care if the recipients are naughty or nice, just as long as they listened to his syndicated weekly program, Underground Garage. An ultra rare recording of Keith Richards romping through the Chuck Berry chestnut “Run Rudolph Run” kicks things off in a blues-rock vein. On the relentlessly cheerful “I Wish It Could Be Christmas Everyday,” Roy Wood’s Wizzard uses a Wall Of Sound influenced approach to build an entire palace. Tina Sugandh’s beautifully sung “White Christmas” begins with the standard arrangement, but soon drifts off to India via exotic sitars and tablas. The Chesterfield Kings’ knack for tapping into Aftermath era Rolling Stones is readily apparent on “Hey, Santa Claus.” Former Stray Cats vocalist-guitarist Brian Setzer’s “Santa’s Got A Hot Rod,” rocks with a highly energetic swinging arrangement. “Santa Claus Is Surfin’ To Town,” delivered by 1950s kids show host Soupy Sales, is another one of those fun rarities Van Zandt was obviously delighted to offer. Swedish band The Cocktail Slippers deliver “Santa’s Coming Home,” a catchy number that laments the amount of time Santa’s work keeps him away from his girlfriend. The Seattle-based Boss Martians give Charles Dickens a psychedelic spin with their high speed rock song, “3 Ghosts (A Modern X-mas Carol).” Aussie garage rockers The Chevelles unleash a spirited take on a treasured hymn with the mostly instrumental “Come All Ye Faithful Surfer Girls,” and The Electric Prunes’ psychedelic and slightly unsettling version of “Jingle Bells” has a spoken word intro that includes a special holiday greeting for Underground Garage listeners. Ray Davies of The Kinks has always been a master of satire, and on “Father Christmas,” he leads the band through a funny tale of a retail store Santa being pummeled by destitute children. There are also guitar-driven interpretations of Chuck Berry’s “Run Rudolph Run,” Brenda Lee’s “Rockin’ Around The Christmas Tree,” and The Beach Boys’ “Merry Christmas, Baby.” The Smithereens also do well with “Christmas Time Is Here Again,” one of the rare songs The Beatles recorded for their fan club members. The Smithereens set Clement Clark Moore’s classic poem, “‘Twas The Night Before Christmas” to a jazzy percussion-led arrangement, and open “Auld Lang Syne” with acappella vocals before launching into a rollicking instrumental jam session. My family celebrated Christmas yesterday at my brother’s house on the south side. His oldest son, my nephew, Joe Flamm has now made it through three rounds of this season’s Top Chef program on the Bravo Channel. Joe was at the gathering yesterday and we gave each other a bottle of wine as a gift. (He’s also my godson.) This is the first Christmas I’ve been able to say I received a present from a contestant on a reality TV show. It’s always fun when Christmas Eve falls on a Sunday because many of the newspaper comics—or the funnies as some people call them—are about celebrating the holiday. Back when I was a kid, we called the comics “the jokes,” although I haven’t come across any other families that did that. During the past few years, I’ve been clipping some of the better Christmas-related comics and putting them in the same box as our decorations. My Friday travels around downtown brought me to Water Tower Place on Michigan Avenue, and an exhibit called The Great Fermentation on one of the upper floors. According to a woman I spoke with there who called herself Dr. Shiraz, it’s a preview of a multi-media celebration of wine that might be coming to Chicago (other cities are still in the running) in 2019. Congratulations to Joe Shanahan, owner of the Metro venue on Chicago’s north side, on already raising over $1,000 via his Facebook fundraiser for the Chicago Children Choir. The CCC is a nonprofit organization that helps kids ages 8 through 18, “become global citizens through music.” It has choral programs in 80 Chicago schools. Sons Of The Silent Age, the David Bowie tribute act composed of several Chicago music scene veterans, will have acclaimed actor Michael Shannon as their special guest when they perform The Berlin Years on January 6 at Metro. A portion of the proceeds from this event will benefit cancer patients at Northshore University Healthsystem’s Integrative Medicine Program. A winning team. According to reporter Annie Sweeney’s recent article in the Chicago Tribune, five Chicago sports franchises have joined together to help stop street violence in the city. The Chicago Sports Alliance comprises the Cubs, White Sox, Blackhawks, Bears, and Bulls, and has raised $1 million so far to fund mentoring programs for youths in the Englewood neighborhood. The Posies plan to celebrate their 30th anniversary in style during 2018 with live performances around the the USA, as well as offering some enticing opportunities via the PledgeMusic site. Depending on how much money you’re willing to shell out, you can choose anything from spending a day with founding members Jon Auer and Ken Stringfellow in Paris to acquiring new deluxe versions of Dear 23, Frosting On The Beater, and Amazing Disgrace for $18 each. Other options include a yet-to-be-designed t-shirt; socks; handwritten lyric sheets; a signed CD box set; a signed LP box set; signed albums and CDs; a signed setlist; a concert in your house with either one or both of the founding members; or having a coffee date with one or both of them. Various packages involve a mix of the above items, and every package includes an access pass. Auer and Stringfellow will tour as a duo starting in January, and and at some point, as a full band. Upcoming dates include New York, Boston, Memphis, Atlanta, Washington, D.C. and Nashville. 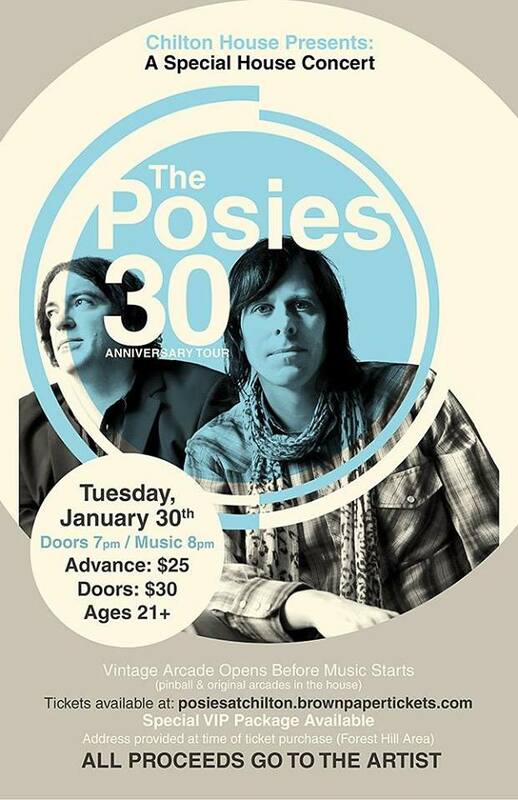 They’ll hit City Winery Chicago for a duo show on January 31. VIP packages involving a meet and greet are available. The rebooted Jumanji movie opened at movie theaters recently. To be the honest, the only reason I’m interested is that the cast includes Karen Gillan, whose Amy Pond was among the most interesting companions to hang out with The Doctor on the long-running English sci-fi series Doctor Who. Well, I’m off to watch the Alastair Sim version of A Christmas Carol, and if it doesn't get too late, It’s A Wonderful Life. Best holiday wishes to all who visit this blog, along with the hope that we’ll all be successful in our creative projects in the coming year. It may be too late to run out to a record store, but here are some options for holiday rock tunes you can find on iTunes, Amazon, Bandcamp, other sites, or on the radio. 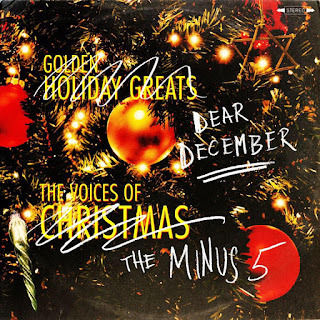 The Minus Five’s Dear December finds band leader Scott McCaughey and guest musicians The Posies, Benjamin Gibbard, Mike Mills, Kelly Hogan, Nora O’Connor, Tammy Ealom, Colin Meloy, M. Ward, and Chuck Prophet performing fun, off kilter original songs about Christmas and Hanukkah. Highlights include the clever holiday romance “Yule Tide Me Over,” the chiming “I See Angels,” and “Merry Christmas Mr. Gulp-Gulp,” a lounge tune about battling alcoholism. Australian vocalist/multi-instrumentalist Joe Algeri, AKA The JAC, continues his annual tradition of creating an original Christmas song for free download with “A Petty Xmas (Parts 1 and 2).” This year’s edition is a bit more serious, as Algeri honors not only the late Tom Petty but also George Young, who played rhythm guitar for The Easybeats and later produced AC/DC albums. George and his brother/AC/DC co-fonder Malcolm both passed away this year. “A Petty Xmas (Parts 1 and 2)” has a catchy mid-tempo arrangement that features Algeri on lead vocals and guitars, along with fellow Britannicas members Herb Eimerman on jazz bass and backing vocals; and Stefan Johansson on drums. Five other musicians are involved with this worthy project. Christmas With The Smithereens is one of the best rock holiday albums ever recorded, featuring an energetic mix of originals and cover tunes. 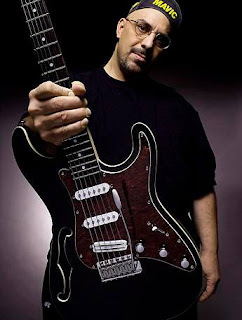 Sadly, lead vocalist-guitarist Pat DiNizio also left us this year. The band is asking fans who would like to express their condolences to DiNizio’s mother to send their cards or messages to: The Smithereens P.O. Box 307 Tennent, NJ 07763. WXRT’s final Local Anesthetic Holiday Spectacular will be rebroadcast on Christmas Eve at 10:00 p.m. Several short seasonal messages and songs from area musicians comprise the show and it’s always fun to hear what the participants come up with. Just to clear up any confusion, Local Anesthetic host Richard Milne has not left the station, and will continue in his regular time slots. Milne recently became part of the rotating trio of hosts for XRT’s Saturday Morning Flashback. 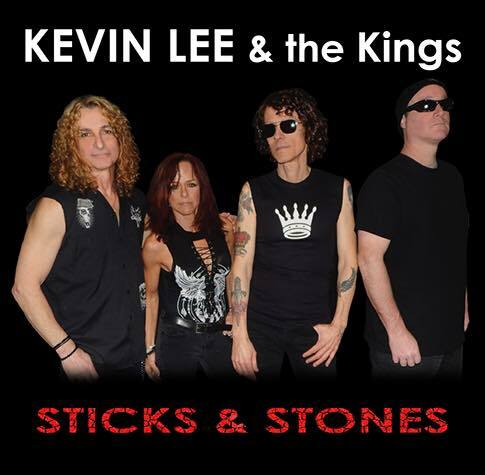 Kevin Lee is a guitar-slinger with an unerring sense of melody, which has resulted in a series of impressive albums over the years. Like fellow Chicagoans Cheap Trick, his songs are an enticing blend of power pop and hard rock, and he’s a strong vocalist as well. The recently released Kevin Lee And The Kings album Sticks And Stones finds Chicago rock veterans guitarist-backing vocalist Michael Kurtz and bassist-backing vocalist Patti Prendergast joining Lee and drummer Erik Strommer for the first time on a recording, but this lineup has been gigging together for a while now. Lee and Kurtz provide plenty of firepower as the band zips through 10 songs, with “Tell The Truth”—a tale of a troubled relationship—being the only slow one. The well-crafted arrangements are consistently catchy and Lee gets solid vocal support from Kurtz And Prendergast. “Slip Of The Tongue” takes aim at loose talk and gossip, while “Sticks And Stones” is about trying to get along with someone who constantly criticizes and complains. Lee strikes a more inspirational tone with the rollicking “On Top Of The World,” and on “One Day At A Time,” a guy tells his commitment-seeking girlfriend it’s better to just take life as it comes. That sentiment also shows up on “All We Have Is Now,” which has more of a garage rock feel. The defiant “Nothing To Lose,” with its high-speed instrumental intro and lush harmonies, serves as the best cut on an album filled with good rock tunes. 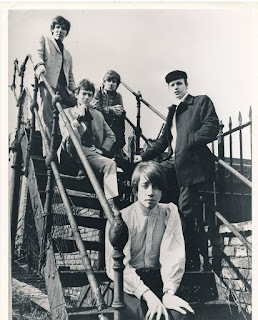 Tony Hicks is at the bottom of the steps in this vintage Hollies pic. 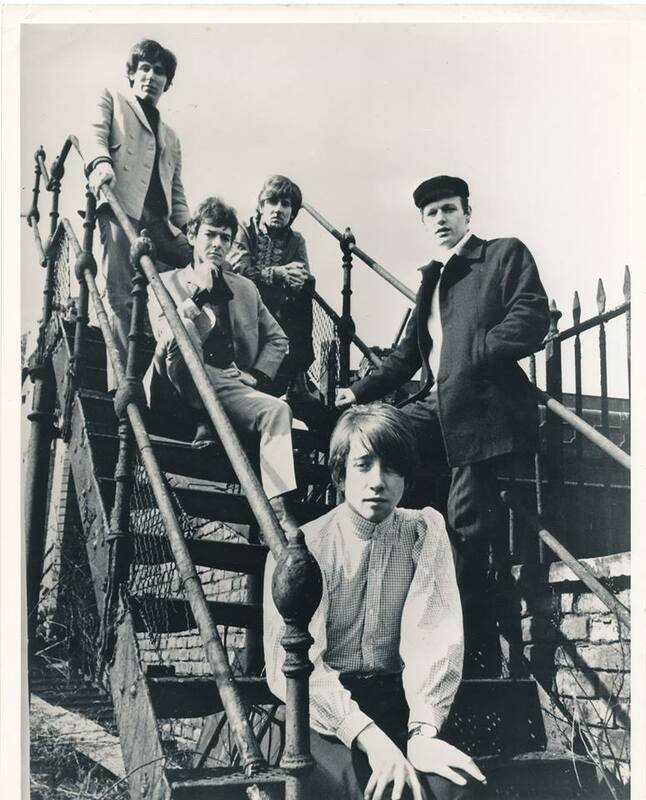 A happy belated birthday to guitarist-harmony vocalist Tony Hicks of The Hollies. Hicks has played an essential role in the band’s distinctive and effervescent sound from the start and still tours across Europe with the current lineup, along with original drummer Bobby Elliott. Graham Nash, who performed with Hicks in The Hollies through 1969, will be at the North Shore Center For the Performing Arts on March 17, 2018. In the past few years, Nash has performed in the Chicago area at The Arcada in St. Charles; City Winery Chicago; and The Old Town School Of Folk Music. And he’s always welcome. I got my first Hollies album as a Christmas present back in 1966 and have been hooked since. Singer-guitarist Phil Angotti will offer a Beatles Brunch Extravaganza tomorrow afternoon at the Reclaimed Restaurant on Western Avenue. Angotti promises to play holiday songs, Beatles material, and take requests from the audience. 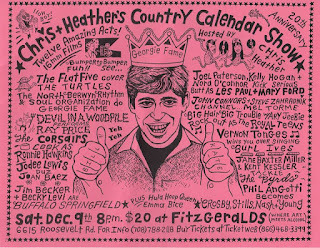 Richard Milne’s Local Anesthetic Holiday Spectacular on WXRT has been an annual tradition among fans of Chicago area rock for several years. But the very last one is this Sunday night at 8:00 pm., with a repeat airing on Christmas Eve. Several short seasonal messages and songs from area musicians comprise the show and it’s always fun to hear what the participants come up with. A toast to Mr. Milne for the decades he supported Chicago music on his weekly Local Anesthetic show. The Empty Bottle is hosting Warm, Safe and Sound, A Coat/Sweater Drive for Homeless Chicagoans next Thursday, December 21. Donating a coat or sweater will get you in to see the blues rock band North By North, psychedelic rockers Secret Colours, indie rock band The Handcuffs, and the coed indie pop duo Star Tropics. On December 22 at FitzGerald’s, the annual Redmonds Christmas Show will will feature hosts The Redmonds and their guests Kevin Lee And The Kings, Duct Tape Band, and The Romeo Brothers. On the next night, December 23, there’s Flirting With Time: A Tribute To Tom Petty. Proceeds will benefit the One America Appeal Hurricane Charity. Congratulations to 2018 Rock And Roll Hall Of Fame Inductees The Cars, Dire Straits, The Moody Blues, Nina Simone, Bon Jovi, and Sister Rosetta Tharpe. I wanted The Zombies to make it in this year, but I also had Dire Straits, The Cars, and The Moody Blues on my wish list. 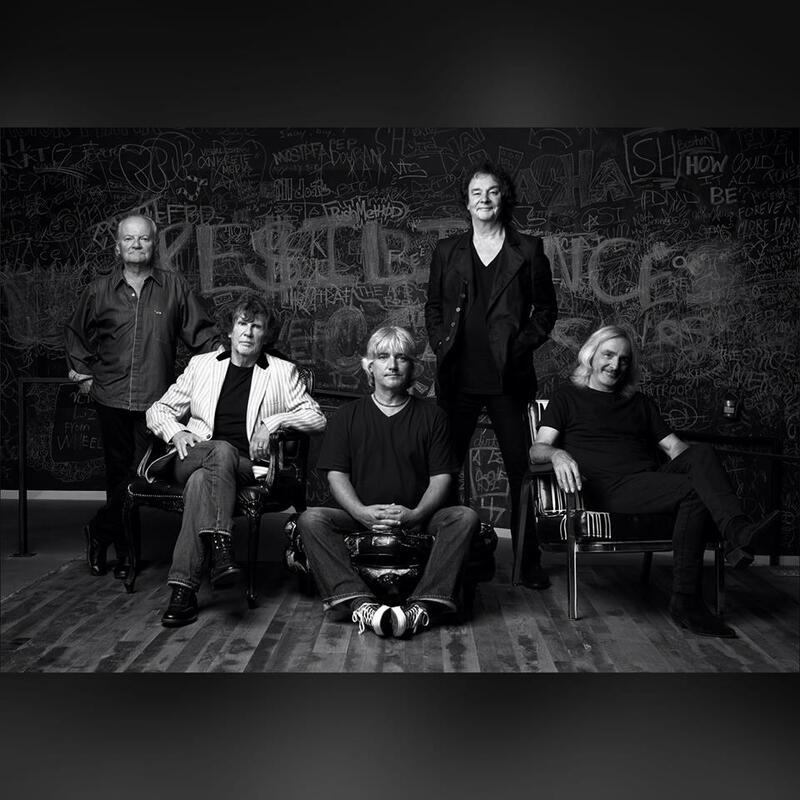 American fans can make it up to The Zombies by seeing the band on its 2018 tour. They’ll be at City Winery Chicago on March 19. The Go-Go’s recently shared a link on Twitter to a Variety article about the band’s Head Over Heels musical coming to Broadway at some point in 2018 or 2019. Gwyneth Paltrow is slated as the producer. My nephew Joe Flamm’s adventure as one of the contestants on the new season of the Bravo Channel’s Top Chef continued in fine fashion this past Thursday as he won the Quick Fire event and earned immunity for the second elimination round. Several local acts are lined up for the 13th Alex Chilton Birthday Bash! coming up on December 28 at the Empty Bottle. Sponsored by the WNUR radio show Power Pop Shoppe, the event will include The Injured Parties, Dann Morr, Hannah Frank Group, and Falling Stars. I mentioned in my Thursday post about Pat DiNizio that I first heard about his passing away early morning on WXRT. That was when overnight DJ Emma Mac was still on the air and she broke the news. Later that day, the station’s morning air personality Lin Brehmer offered a touching tribute that has been shared on The Smithereens Official Facebook page and by others. Listening to WXRT early yesterday morning, I heard the sad news that Pat DiNizio from The Smithereens had died. I first discovered The Smithereens back in 1983 via a Rolling Stone review of their Beauty And Sadness five-song EP. I mentioned the record to fellow power pop fanatic “Boris” during one of the many times we ran into each other at the Haywires club, and learned they were already on his radar too. Many will mourn DiNizio’s passing not only as fans but as friends who connected with him on a personal level over the years. The music DiNizio wrote and performed with The Smithereens was a workingman’s power pop with energy and an unerring sense of melody. The ominous “Blood And Roses” from Especially For You brought them national attention and they scored big with songs like ‘Strangers When Me Meet,” “Behind The Wall Of Sleep,” “A Girl Like You,” “Only A Memory,” and “Drown In My Own Tears.” In 2011, they recorded The Smithereens 2011, which found the band still at its peak with catchy songs like “Sorry,” “Rings On Her Fingers,” and “What Went Wrong.” The Smithereens remained a dynamic live act through 2017, and had plans to tour next year. Christmas is just over two weeks away, and if you’re like me, you haven’t finished decorating, gift buying, or sending cards. You still have to bring out your favorite rock and roll holiday CDs and start the rotation of seasonal DVDs, saving A Charlie Brown Christmas and The Snowman for last. And on top of all that, there’s a bunch of entertainment stuff to keep up with. Chris Ligon and Heather McAdams have enlisted several area musicians to help out with their 20th Anniversary Calendar Show tomorrow night at FitzGerald’s in Berwyn. The guests’ performances tie in with the illustrations in McAdams’ imaginatively illustrated calendar and will include The Flat Five as The Turtles; Devil In A Woodpile as Ray Price; and Jodee Lewis as Joan Baez. Vernon Tonges will take on Burl Ives;, Big Hair Trouble will be The Royal Teens; The Corsairs will be Ronnie Hawkins; Phil Angotti will cover Crosby, Stills and Nash; Jim Becker and Becky Levi will be Buffalo Springfield; Jane Baxter Miller and Kent Kessler will sing like The Byrds; and Joel Patterson with Kelly Hogan, and Nora O’Connor will perform as Les Paul and Mary Ford. The Bucktown Holiday ArtShow takes place tomorrow and Sunday at The Holstein Park Fieldhouse at 2200 N. Oakley. Admission is $2. The Anderson Galleria, at 5247 N. Clark Street, describes itself as, “like an Art Festival under a roof and year-round.” More than 90 local vendors sell handmade items, many of which are likely to have a holiday them around this time of year. What I like about two. There’s a double bill of The Romantics and The A Flock Of Seagulls at Joe’s on Weed Street in Chicago next Wednesday, December 13. 1-2-3-4-5-6. Jonathan Richman of The Modern Lovers fame will be coming to on SPACE in Evanston on March 14. Tickets are available via the venue’s website. Tickets are also now on sale for Drive-By Truckers at Thalia Hall on April 6 and 7; Keren Ann at City Winery Chicago on February 20; Ty Segal at The Riviera Theatre on April 8; Southside Johnny and The Asbury Jukes at SPACE on March 3; and Steve Winwood at the Chicago Theatre on February 22. Chris Stamey, who has a successful career as a solo artist as well as being a member of The dBs, has been named as the opening act for The Alejandro Escovedo Band’s three-night stand at City Winery Chicago on January 25 through 27. Hugh Hart is still creating vital music even as he continues his successful endeavors in journalism. His latest recording, “Bye Bye Donny,” which can be heard on Soundcloud finds Hart setting politically charged lyrics to a catchy arrangement that recalls his 1980s work with his Chicago-based band The OD’d. 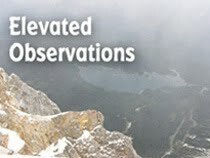 Hart’s freelance articles have appeared in the New York Times and the Los Angeles Times. The Social Act, one of the first bands I interviewed for the Illinois Entertainer back in the late 1980s, has been working on a new album, and will be performing at Martyrs’ on Lincoln Avenue next Friday, December 15. Razorhouse will also be on the bill that night. Belly has been offering some interesting perks on its PledgeMusic page, and the latest is a colorfully illustrated retro design campaign poster. Imagine fun in Minnesota. The 38th Annual John Lennon Tribute John Lennon Tribute featuring Curtiss A and his friends is taking place tonight in Minneapolis. It’s the time of the holiday season to ask for Odessey And Oracle wall art, pillows, or shower curtains from The Zombies website. The British Invasion band is offering its initially overlooked but now iconic LP in assorted sizes and in various mediums. Everything I Know I Learned From Rock Stars by Bill Paige and We Have Company - Four Decades Of Rock And Roll Encounters by Bobby Skafish. Congratulations to my nephew Joe Flamm on making it through the first elimination round on Top Chef. The cooking reality show opened its latest season last night on Bravo, and it was a kick to watch my godson working his culinary magic among 14 other contestants in Denver. The local musicians behind Great Moments In Vinyl continue their series of honoring classic LPs with a double dose of The Rolling Stones tomorrow night at Martyrs’ on Lincoln Avenue. They’ll be performing Sticky Fingers and Some Girls in their entirety. Next week, on Wednesday, December 7, Tributosaurus will become Paul McCartney at Martyrs’. U2 has has added a second show at the United Center in Chicago next May as part of its iNNOCENCE + eXPERIENCE Tour. Tickets go on sale this Monday at 10:00 a.m. The band’s new album Songs Of Experience came out today. WXRT Live From The Archives Volume 19 is now available at Chicago area Target stores. The limited-edition various artists compilation sells out quickly. Bloodshot Records will be spinning tracks from its various artists 13 Days Of Xmas album when it hosts a Holiday Pop Up Store tomorrow at its headquarters on Irving Park Road. The Chicago-based indie label is promising refreshments and snacks, along with exclusive holiday stuff like records, clothing, and signed memorabilia for sale. The event, which will run from noon to 7:00 p.m, ties in with Bloodshot’s seventh annual Stuffed Animal Drive, which collects soft toys and warm clothing. If you’re searching for a unique gift that can’t be bought in any department store, check out The Renegade Craft Fair tomorrow and Sunday at The Bridgeport Center at 1200 W. 35th Street. The Bucktown Holiday ArtShow takes place next Saturday and Sunday (December 9 and 10) at The Holstein Park Fieldhouse at 2200 N. Oakley. Admission is $2. The Anderson Galleria, at 5247 N. Clark Street, describes itself as, “like an Art Festival under a roof and year-round.” More than 90 local vendors sell handmade items, many of which are likely to have a holiday them around this time of year. Alt rock band whitewolfsonicprincess and garage rockers The Telepaths are hosting a multi-band Toys For Tots Benefit Show tomorrow night at Red Line Tap. Other performers include Kc Chronis; The Darkroom Men; Joe Lapsley and Jana Measells; Gary Nobody; The Rut; and The Rolling Clones. The show starts at 7:00 p.m.
Local bands Super Sonic Space Rebels and The Amazing Heeby Jeebies will present A Night Of Rockabilly, Punkabilly And Garage Rock’n’Roll on December 7 at the Burlington Bar on Fullerton on Chicago’s north side. The perception that only guys are interested reading and/or creating graphic novels gets upended on the first Wednesday of each month at Graham Crackers in downtown Chicago. That’s when the store hosts Ladies Night, which members describe as, “Wimmen talkin’ ta wimmen ‘bout comics!” The next get-together takes place on December 6. Ladies Night compilations, featuring several local comic creators, are available for sale at the store. We Fitz You A Merry Christmas. The FitzGerald’s venue in Berwyn will be a festive place over the holiday season. Next Saturday, December 9, Chris Ligon and Heather McAdams will enlist several area musicians to help out with their 20th Anniversary Calendar Show. 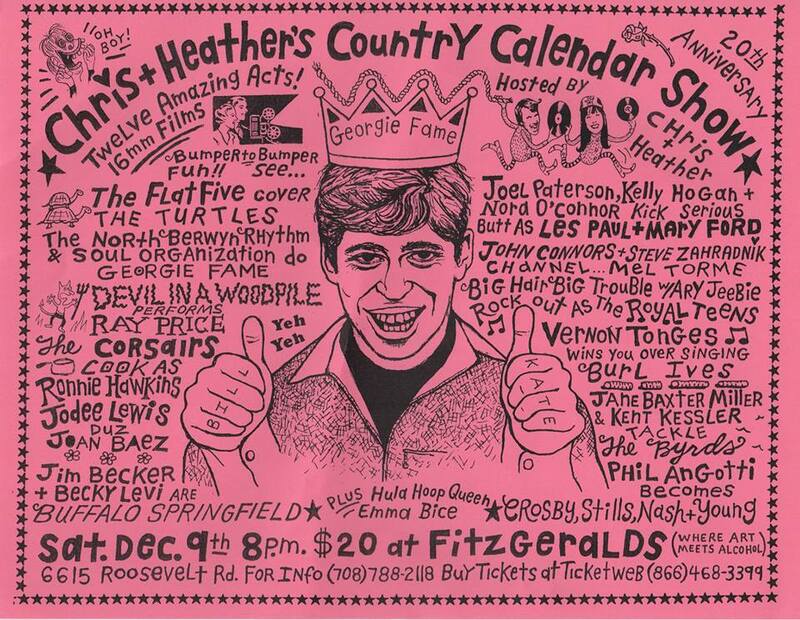 Guests include The Flat Five, Devil In A Woodpile, Jodee Lewis, Vernon Tonges, Big Hair Trouble, The Corsairs, Phil Angotti, Joel Patterson with Kelly Hogan, and Nora O’Connor. Chicago Tribune rock critic Greg Kot’s feature story on McAdams and Ligon in today’s On The Town section mentions that the illustrated Heather’s L’il Folk, Rock, Pop, and Country Calendar includes Crosby, Stills, Nash And Young; Mel Torme; and Ray Price. On December 22 at FitzGerald’s, the annual Redmonds Christmas Show will feature hosts The Redmonds and their guests Kevin Lee And The Kings, Duct Tape Band, and The Romeo Brothers. On the next night, December 23, there’s Flirting With Time: A Tribute To Tom Petty. Proceeds will benefit the One America Appeal Hurricane Charity. The Regrettes played to an enthusiastic crowd at The House Of Blues last night. They were the opening act for a double bill of Swmrs and The Interrupters, but it’s already clear these young Los Angeles natives are building momentum with their catchy and emotionally charged songs. Seventeen-year-old lead vocalist-guitarist Lydia Night channels the unbridled energy that has kept punk a vital force over four decades while adding a touch of adolescent playfulness.The Regrettes’ “A Living Human Girl” was chosen chosen by Billboard magazine as one of the Top 25 Feminist Anthems, and the band’s “I Don’t Like You” is in contention for Coolest Song Of The Year on Little Steven’s Underground Garage radio program. All in the family. Singer-guitarist John Petitt, formerly with the rock trio This Is This, will be performing as part of the Big Brother’s Vinyl show on January 13 at the Arlington Ale House (third floor) in Arlington Heights. He’ll be joined by musicians Ryan Aiello, Rick Fobes, Joe McMichael, and Naveen Prashantham. Lizzy Petitt (John’s daughter and a former member of Serendipity) and the Bandwagon will be the opening act. The music starts at 7:30 p.m. Band Called Catch celebrates its 10th anniversary with a show on January 13 at Martyrs’. Past members are scheduled to join in the celebration. The show will be preceded by sets from Laura Glyda, Buffalo Rose, and Todd Kessler.